Sri Lankan Airlines in an official airline press release sent by its media with the blessings of its CEO Kapila Chandrasena on Tuesday, has denied what the Director General of Civil Aviation Authority (CAA) H.M.C Nimalasiri claimed, informing the airline’s head of his and the CAA’s awareness pertaining to situations where Pilots have been deactivating functional and vital flight instruments/engines/systems in flights (including the IRS) engaged in commercial passenger operations with a view to practicing certain abnormal and emergency conditions on commercial flights.. The Director General CAA’s email to the CEO Sri Lankan Airlines, the email from Manager In Flight Services Senaka De Soysa to the entire Cabin Crew stating that the airline is experiencing weight and balance safety concerns on certain re-configured A320 aircraft and the six pilot related incidents highlighted earlier, may be shocking news to the public, but by and large these incidents were common knowledge to employees of the airline all along. The local media carried a press release sent in by the airline refuting claims that their Pilots have not simulated emergencies during the operation of commercial flights, which can be challenged otherwise. However the release goes on to say that there was an incident where the pilots had to turn back as they felt a vibration on takeoff. Here again there was no vibration as the Digital Fight Data Recorders ( DFDR) has proved that the throttle had cut off power of one engine at an altitude of 150 feet on ascend, which is way below the minimum height required for this procedure. This leaves readers with no choice but to believe that by the airline’s avoidance to refute the claims of the other five Pilot related incidents, they do agree to these allegations through their silence. Perhaps on the other hand the Airline’s Management may have exhibited a sense of acute ‘selective amnesia’ in this instance for reasons best known to them. The only Pilot related incident that the airline accepts in their press release is that on the particular TRZ/CMB flight of October 2014, there was a vibration and that the two pilots did not follow Standard Operational Procedures (SOP) on this flight where they returned to TRZ airport. In actuality it was the lunacy of having a throttle being retarded by Capt. Pathirane when the First Officer was flying the sector and when the aircraft was a mere 150 feet above ground level that caused the issue. There was no vibration as it was proved eventually even though the Mandatory Occurrence Report (MOR) submitted by Capt.Pathirane stated that he had recycled the landing gear as well during this episode. This is the truth even though the airline in its press release has completely ignored this allegation as made by the Director General CAA about certain pilots switching off engines. It is this ‘cow boy’ antic by the Capt. Pathirane that left them forgetting to retract the landing gear as they were dealing with a plethora of warning lights and alarms that came on due to the doings of the Capt. Pathirane. Burning precious fuel due to the subsequent ‘drag’ that was created by not retracting the landing gear, made them return to Trichy after takeoff as it could not last the journey to Colombo. Captain Pathirane claims that there was a vibration immediately after takeoff and probably only he will know the truth. Further the manufacturer of the aircraft Airbus Industrie had reported that there was no vibration and the issue lay with the Pilots in control of the flight. It was also reported that while the First Officer only operated the CMB/TRZ/CMB sectors, Capt. Pathirane went on to fly the CMB/DXB sector immediately on another aircraft and submitted his Mandatory Occurrence Report (MOR) thereafter. The contents of that MOR submitted by Capt. Pathirane painted a different picture than the real incident. I am sure the Airline Management will not deny that. This was subsequently found out when a proper investigation was conducted and the reports generated from the Digital Flight Data Recorder (DFDR) indicated the truth. The Press release further goes on to state “However, the airline said there was a case of an in flight turn back due to suspected engine high vibration. As the pilot’s occurrence report had not given sufficient details to identify the root cause of the said vibration Sri Lankan Engineering requested Airbus Industries for an in depth report of the Digital Flight Data Recordings (DFDR) pertaining to that particular flight. As per the report, the Airline found that the Flight Crew which operated that particular flight had deviated from the SOP’s of the Company”. It further adds “The Airline says it appointed a panel of inquiry consisting of the most senior instructor pilots, which, after due inquiry found that the Flight Crew had violated SOPs of the Company but not to the effect of simulating conditions with passengers on board as stated in the Article. The Company based on the findings of the Inquiring Panel has taken appropriate action vis – a – vis the Fight Crew to address such violation”. Quite sadly the airline has made a blatant falsehood in their feeble press release in this instance as there was no vibration whatsoever and it can be proved otherwise. Currently with solid evidence in hand, even the CAA could be assisted in their further investigations if needed. It was further brought to our attention of another serious lapse that had been brushed under the carpet since of late and a subsequent email had been sent to all pilots. On this occasion COO Capt. Druvi Perera and Capt. Upul Samarakoon were in command of a VVIP flight UL 225 on the 22nd August 2014 with the former President Mahinda Rajapaksa on board. It has been reported that much to the astonishment of the Air Traffic Controllers (ATC) the two Captains on board had ‘pushed back’ the aircraft without the prior consent or permission of the control tower. It is further alleged that a Captain of another airline who was at a nearby parking gate was privy to this entire conversation take place between the ATC and the Captains of the VVIP Aircraft. He had then gone on to supposedly submit an Air Ground Safety Report (AGSR) based on the pilot error he had heard and observed. Some airline Pilots lament that there are ‘different strokes for different folks’ as Capt. Druvi Perera and Capt. 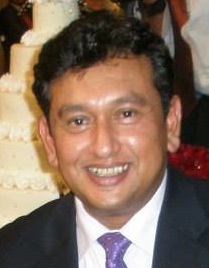 Samarakoon did have strong political ties with the former Rajapaksa regime. Both pilots’ political clout was at a different level altogether when the previous regime was in control. What is interesting to know is if the Air Traffic Controllers who worked on the 22nd Augusts 2014, did actually file a “Mandatory Occurrence Report” (MOR) due to this serious error caused by Capt. Perera and Capt. Samarakoon. If they had filed it then it will be interesting to know as to why nearly six months later this incident was never investigated. Whilst Director General CAA Nimalasiri has flagged a few Pilot related incidents in his email to the CEO Sri Lankan Airlines, it may be interesting to note if he ever was in the knowledge of this incident or has it really been swept under the carpet. Justice needs to be being meted out to all in fairness and if these two Captains are found guilty, they should then face the consequences as brave men or own up and say ‘yes we did it’. This is a questionable question that will have to be answered eventually by those truthful and who are handed the responsibility of maintaining strict aviation discipline in this country. I fervently pray that these transgressions will be brought to book and the taste of paradise will be restored on Sri Lankan Airlines which will then be truly… “your’s ‘safely’ to fly”. Many people have raised questions as to why I have written these articles about our national carrier and I would like to highlight the following. I made every effort to meet with CEO Kapila Chandrasena to discuss these incidents that have now been highlighted as many efforts made to meet him proved futile. I phoned him and he promised to phone back which to date he has never done. I then emailed him and he sent from pillar to post in terms of channeling my email requests to Chanaka Olagama (HOSD), Pradeepa Kekulawala (HHR) & Deepal Perera (Media Manager) which was sadly to no avail. As a last ditch effort I contacted COO Capt. Druvi Perera and sent him a SMS and he said he was happy to answer any technical questions. I then phoned him but he too never answered or returned my calls. These five gentlemen are professionals I have come in contact with at some point in my professional career and are no strangers to me. However what baffles me is their reluctance to meet and their avoidance made we feel that they are behaving in a manner that only someone who is guilty of many wrong doings would do. I was left with no choice but to use the medium I contribute to as a Journalist and hence the articles being uploaded on Colombo Telegraph. I do apologize to the other respected Pilots who are not involved in any of these related incidents and also regret the bruising of any egos that these stories may have caused. This article by no means is to target the Pilots as a group of professionals but simply to remind ourselves that all the good done by them over the years could easily be undone by a handful of incompetent flyers, who at times have now proven to do some silly things that jeopardizes it for all of them. Those individuals are the ones who ideally are highlighted in this series of articles. My staff number was 7691 and one that I proudly remember ever since the Executive lady at HR gave this number to me on the day of me joining Air Lanka on the 1st August 1988. I left on the 20th February 1991 to pursue my aviation career with Emirates Airline based in Dubai. A fulfilling career it was indeed and one I am ever so grateful to Air Lanka Pvt Ltd for. The dramatic irony was that when I was at Air Lanka it was Emirates Airline who wanted to emulate our national carrier then as our aircraft were continuously parked in their numbers on the tarmac of Dubai International Airport. However when I moved to Emirates Airline, it was Sri Lankan Airlines who subsequently wanted to be like the International Airline of Dubai and at one point even let them run our airline in a merged pact for ten years. When I was made to understand that the airline is currently experiencing a Rs 100 Billion loss, it made me wonder as to who could be responsible for plundering this airline to the extent of making it plummet to the depths of financial despair. All it took was for a few phone calls to be made and the necessary information simply flowed in through many employees who are muted by the signing of disclosure clauses and agreements. The details pouring in are shocking to say the least and inking these exposes Department by Department, Flight Operations to In Flight Services to Cargo to Engineering to Ground Handling to Sales and Marketing etc; has now begun.. If I have become their voice then ‘so be it’. We have entrusted this wonderful airline to the care of professionals who have proved beyond reasonable doubt that they have been failures as of today. The current team of Senior Manager Team (SMT) should place their hands on their hearts and answer the question truthfully “have I done justice to earn the salary and perks I enjoy that I am privileged to feed and look after my family everyday? If the answer is a truthful ‘no’ then it perhaps is best for all of them to voluntarily move out and hand over the reins to someone who can ensure that our Treasury is not milked any further. 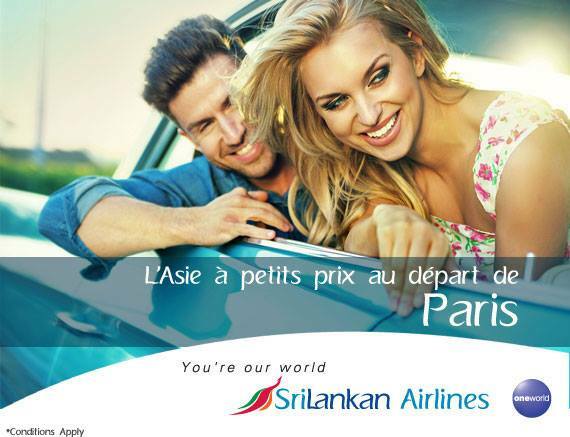 After all the airline is owned by you the general public of Sri Lanka. This is all I care about and this is what makes me ‘tick’ to write these lines. I had the privilege to look after as a passenger once by the name of Lasantha Wickramatunga when I operated a flight as a Flight Purser on an Emirates Airline sector from Dubai to Colombo in 1996. We soon became friends and he in fact gave me a free lance Sports Reporters Identity card shortly thereafter. I covered the Dubai International Rugby 7’s for him when Sri Lanka reached the ‘Bowl Final ‘and was sadly pipped by Kenya to lose by a single point that year. This gentleman as we all know left to be with our creator on the 8th of January 2009 in a manner none of us ever would wish for and is also a day six years later that probably would change the course of history in this country for the better. I for one would wish that a positive change would take place, but here I am referring to our national airline that operates approximately 1440 flights a month and carries approximately four million passengers a year which probably, also carries the family members and loved ones of you reading this story right now. …. taste of Paradise alright. With their different strokes, these ‘different’ folks seem to be keen to get their passengers sooner to Paradise where seven virgins and nubile young boys with ivory smooth skin await those entering martyrdom. Albeit for a cause other than religion. Wow! The second dose seems to be more shocking than the first. The first unnerved me; The second…. get me a tranquilizer, somebody! Phew!! Now the question is should we or should we not fly Sri Lankan. Why has Mahinda Jarapassa’s brother-in-law, Nishantha who is a planter but ran Sri Lankan Airlines not been arrested for fraud and financial malpractices? Marlon…please compile the two articles and send it to sunday papers in order to get better penetration to general public that has been funding this white elephant with their tax money. These articles look like a organized movement. If you take into account here in air lines from time to time, these things should be day to day experience in airlines. Readers do have a right to respond as much as writers have a right in documenting stories and publishing or uploading them as in this case. Writers don’t get perturbed by comments made, so please feel free to send in whatever comments you may have. I have provided my private email address below in case anyone wishes to contact me. This is shoking stuff and thankfully has not flown Sri Lankan over the last 3 years even though I have flown the regional carriers on a regular basis. Kapila and Druvi will not take any action. 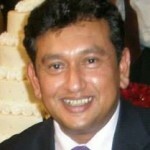 They are no different to Rajapakse’s since they are also trying to hang on to their positions. Kapila has no place to go. 2010-2104 loss is Rs 100 bn and anther Rs 20 bn loss for year ending March 2015. At present monthly loss is Rs 2 bn. Could have built 100 hospitals at Rs 1 bn each in the provinces !!! No choice but to make it a regional airline and scrap long haul routes. Who wants to fly UL to London when you can fly Emirates on a 777 and a A 380. … and still, they want to appoint an ex-cricket captain to head the bankrupt airline. A square peg in a round hole. He is sure going to turn it around. Wait! Not the airline. But his own bank balance. Hic. hic…. This is what you plainly call MONKEYING-AROUND,……………….with peoples lives! Through loyalty to my birth country, I always flew by the national carriers whenever I could, despite their higher prices but the service used to be exceptional. The passengers who travelled by SriLankan on 23rd December 2014 from Colombo to London would remember the diabolical service on that flight. Have you ever heard of planes running out of hot water (so no tea or coffee orwaterr for the baby formula) and flight delayed by an hour with no apologies or the reason for it. Not surprisingly, the crew was frustrated too and their standards suffered. Thank you for the eye-opener(s). But tell me something. Why the heck did you wait so long to spill the beans. Were you afraid of the Grease Yakkas Pappa and his White Vans? Of course, Did you utter any words in that time? Isn’t Arjuna Ranatunga’s brother the CEO of Mihin Lanka ? that this is a position with conflicting interest ? is this the reason for Arjuna to ask for the aviation portfolio too ? You scratch my back;Ill scratch yours. To hell with the country. Marlon – can you shorten your sentences. Thank you. UL running at huge loss as usual .. a scheme was put in by Virachai – thai gm to give all sales people an incentive – percentage wise by job – clerks n peons in the sales section got 6 to 12 times their wages as commissions every month …. managers ,, who knows how much ?? .. end result sales clerks used to take taxis home while accountants n other high ups in other departments used to take the bus home .. they did complain of the rort and how the hell can u give people bonuses when a company is running at a huge loss n it was stopped after a year and Virachai was sacked ..
and nothing has changed .. 30 years later .. still bleeding the country thanks to JR,s white elephant ..
Poor Marlon. Looks like they’ve shot you. Your message was not liked. Power politics at play? 1. I never fly SriLankan but company booked a flight to Male and i had to sit near some kind of a room like partition and once the aircraft took off the door was wide open and swinging in the air with the tune aircraft engine and I told the crew same. They happily replied the ‘door is broken’ and proudly I held the door with ‘my foot’ and it was nice journey. Also In flight entertainment was without any sound and it was such a nice time enjoying a cartoon (Nothing else was there) without sound, it was like a time machine I traveled far back. 2. Nowadays, seems SLA perform overbooking than the capacity and allocate seats to ‘First come first served’ basis. I’ve booked flights for my family vacation and a ‘FLY SMILES(? )’ member reached the fly smiles counter and lady was telling that there is no seats at the airlines and they are checking whether they can accommodate. I had 3 seats booked with confirmed ticket how on earth there can’t be seats, even that won’t happen at the private bus operation, telling ourselves that ‘Shoouldn’t FLY SRILANKAN AGAIN’, finally we got seats and 3 seats spreaded across the entire flight and how can i make sit my 2.5 year old one alone, that’s a separate case. Luckily one of our own family man helped to sit mother and baby together, That was final journey of mine in SRILANKAN. 3. 3rd incident I blamed wife that we must be very early at the counters to get seats (‘Like we do to bus, throw a paper or ‘hanky’ to get a seat’) and this time my brother traveled to Doha and told him ‘Bro, you must be early to catch a seat’, we were early and again there were no seats and he was then transferred to Qatar Airways missed his friends group, traveled alone and spoiled the entire journey. I fly the Colombo-London direct route regularly and I have never encountered any shortcoming worth complaining about. On the (very) few occasions that my luggage has been over, they have generously waived any excess charges. The staff have always done their best, and I suppose on the balance of averages there may be times when things do go wrong; that’s life! By comparison I have stopped flying on Virgin, Kuwait, Bulgarian, Egypt and Air India because of unacceptable shortcomings. Still, I am old enough to remember the joys of riding bullock cart to school, so anything I am lucky to travel in these days has a high target to beat. I found this blog set up by concerned passengers. It reports on several safety incidents.